Most likely you have seen one if not many of those colored ribbons – the looped patterned ones –around your city or town. Nearly everyone is familiar with the pink ribbon for breast cancer. And from cars and windows to pins and patches, there are so many varieties. Have you wondered what they are representing? The idea of using a ribbon for a cause isn’t near as new an idea as you might think. The concept is noted to date back to the middle ages. In the United States, the Army had been credited with first using ribbons in the early 1900’s. 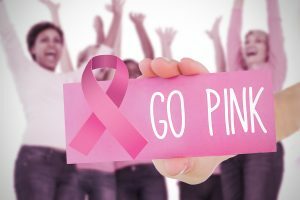 A few interesting facts about some of the ribbons is that, for instance, the pink ribbon for breast cancer had been designed originally in peach with Evelyn Lauder of Estee Lauder creating the pink version. Lauder had been a cancer survivor. Also, when you see rainbow ribbons, the colors red, orange, yellow, green, blue, and violet mean life, healing, sun, nature, harmony and spirit respectively. And, there is also an orange and blue ribbon that is used to represent National Family Caregiver Month. If you or an aging loved one are considering caregiver services in Marlboro Township, NJ, please contact the caring staff at Lares Home Care 888-492-3538 or 732-566-1112.